There’s so much to do and so much to remember when you are flying with JetBlue at Newark Airport. Making sure you have all your luggage packed, checking everything will be allowed through security, insuring you have your passport and other ID and travel documents, and doing this all while worrying about your itinerary when you land. Parking at the airport can add to what may already be a stressful day of travel. But it doesn’t have to. Vista Parking has been helping JetBlue travelers and others flying out of Newark Airport for over 20 years. With Vista Parking, you don’t have to worry about navigating crowded parking lots and maneuvering around other cars. When you arrive at our location, you can check in and one of our professional valet drivers will park your car. You’ll then board our expedited shuttle which will take you directly the JetBlue terminal at EWR. Upon your return, you’ll receive the same great customer service as we shuttle you back to your car which is safely parked in our secure lot. 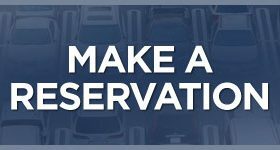 Newark airport parking is notoriously high priced, but at Vista Parking we proudly offer lower rates and fantastic perks (if you’re flying on JetBlue at Newark keep reading and receive a special promo code.) If you’re looking to save money, time, and a potential headache you’re heading to the right place. Vista offers an affordable, safe, and convenient EWR parking alternative. The Vista Parking entrance is conveniently located at the Howard Johnson Hotel on Frontage Road in Newark. We’re open 24/7 so whether you’re flying in the wee hours of the morning or returning in the middle of the night, we’ll be there for you. Do you frequently fly into and out of Newark Airport? For frequent travelers, you can take advantage of our Frequent Parking Program. There is no membership fee or signup required. Frequent Parkers earn one free day for every $100 pre-tax dollars that you spend on parking with us. Book your reservation with us today! You can also text your reservation to 1-973-965-7150. Text reservation services are offered Monday to Friday 9am to 4pm. Not flying with JetBlue? Check out the discounts we have for additional airlines flying out of EWR!